Join us on May 6th, National Nurses Day, in beautiful Wright Park in Tacoma, Washington for this historical event. Canada recently celebrated 50 years since moving to a Medicare for All, single-payer system. They accomplished this province by province. We have the rare opportunity as Washingtonians to become the Saskatchewan Province of the United States of America, to open the floodgates for millions of people across the nation. 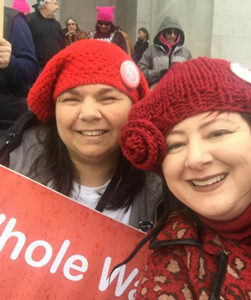 We will sing, we will dance, and we will support our nurses who overwhelmingly endorse I-1600. We'll hear from grass roots candidates, who are leading the way toward a Medicare for All, single-payer system and include Dr. Rev. Barber's Poor People's Campaign for a moral revival. And, YES! 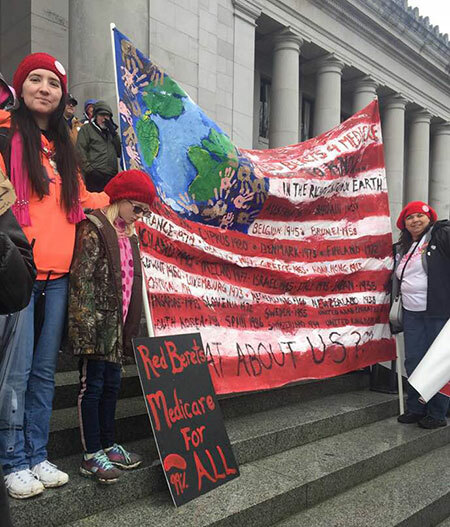 We will get signatures needed to get Universal Healthcare on the 2018 Washington ballot! Thank you to the amazing musicians who have donated their talent to support this event with entertainment! Stay tuned for more bands to be announced. Order your Medicare for All T-shirt! 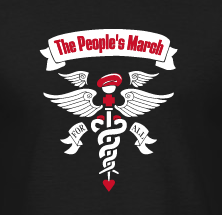 Show your support for Medicare for All by ordering a t-shirt. To receive a t-shirt before the march, donate $27 on our Go Fund Me page. To specify your size, email Laura at redberetsformedicare@gmail.com or specify in the comments on Go Fund Me. Some shirts will be available at the march. We are in the permit process for the march, and there may be revisions to be announced.